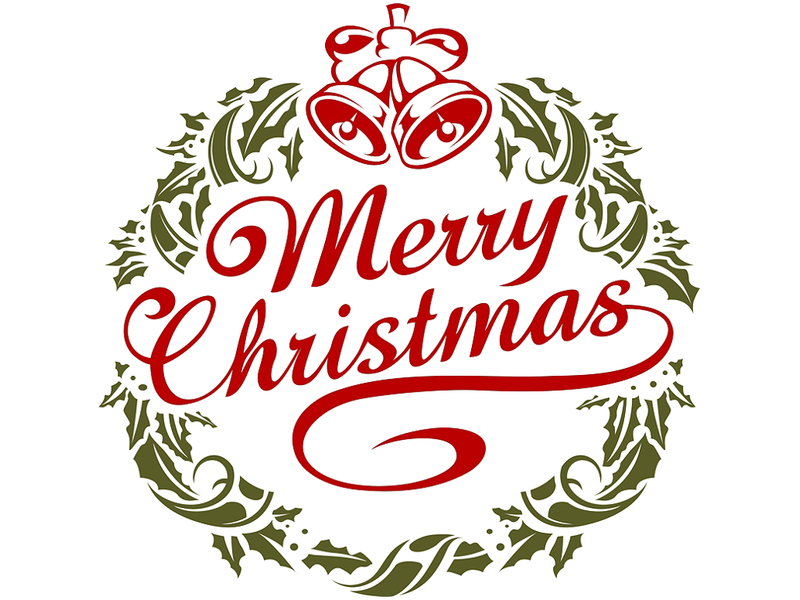 Welcome to our final newsletter of 2018. 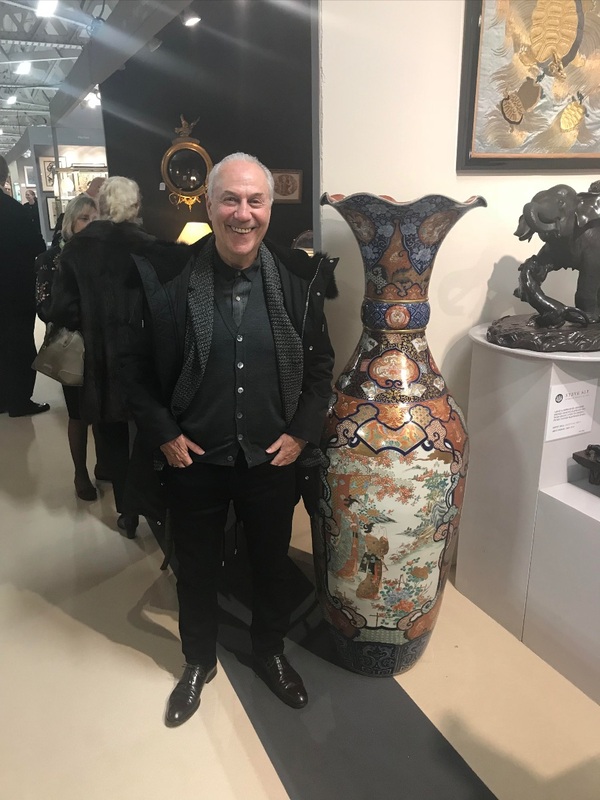 If you recall that during the penning of lasts months newsletter Ryan and I were attending the Winter Olympia antiques fair. This years event was set in the upstairs gallery above what was to be an overspill of the highly popular “Spirit of Christmas” show in the main hall below, this new enforced layout was met with cautious trepidation from many dealers including myself, we don’t like change! Thankfully we made a success of the event, highlighted by selling our huge pair of Miyao Eisuke Bronze figures to an important UK based Japanese works of art collector, as well as a monumental Japanese Imari vase to a new overseas collector, this vase had only arrived to us on the Sunday pre show from the USA collection that we are privileged to be involved in the disposal of, this monumental vase is now heading East to a large overseas collection, please see the images of the scale of the vase pictured alongside my ex partner, dear friend and current AFC Bournemouth Chairman, Jeff Mostyn. The rest of the week was a bit of a struggle for Ryan with a few lower value but equally well received sales, it seems to be a consistent recurring theme that the very best high value “market fresh “ items are highly coveted and quickly find new homes. Following hot on the heels of Olympia was the tri annual and ever popular AFE at the NEC Birmingham, we arrived for set up day on Tuesday as usual where I was greeted with a pre-planned delivery of Cloisonné enamels and other market fresh items from the above mentioned USA collection, some of these items were displayed and subsequently sold at the show, whilst other fine pieces were kept under wraps for listing in my forthcoming members area, and for existing clients collections, once again trying to maintain a fair but difficult balance. 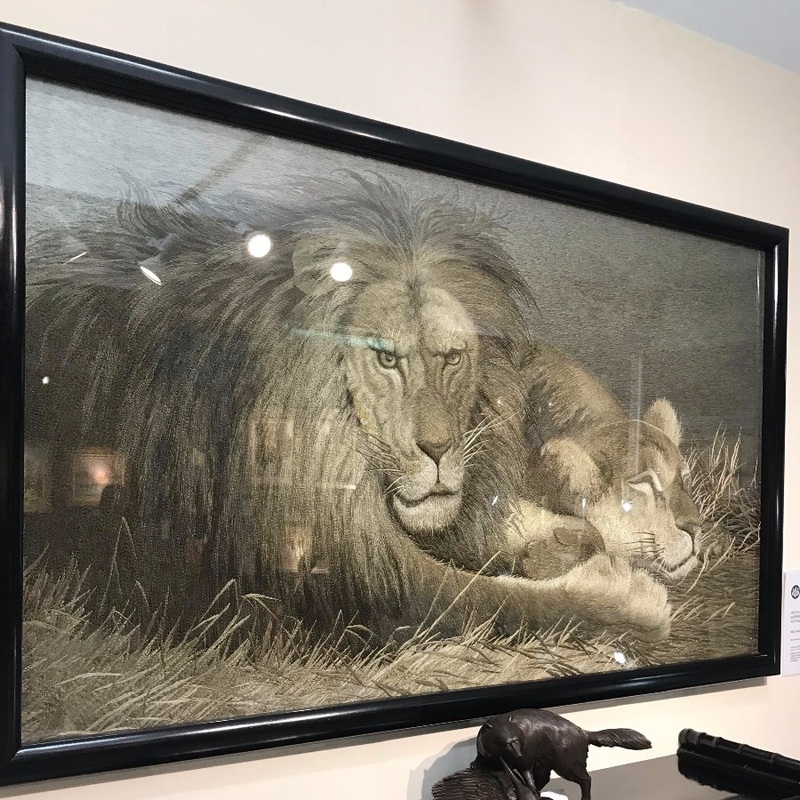 The show opened on Thursday with the usual rush of regular collectors and dealers, by lunchtime we had agreed the sale of a large and important high quality Japanese silk depicting Lions in the Savanah, this silk had found its way to us from its former home in the Channel islands, and once again will be joining an overseas Japanese works of art collection. I returned home to attend to other client’s needs whilst Ryan went on to make multiple sales including a superb quality Ivory Okimono of a Cockerel by the Maruki company, a good bronze Mixed metal landscape vase and a Komai box, to clients old and new. In a similar pattern to Olympia I would say we noticed a downturn in footfall and as a consequence volume of sales, it is my firm belief that the uncertainty of Brexit is starting to have a detrimental effect on consumer confidence, and it is probably no surprise that the majority of our higher value sales were to overseas buyers. 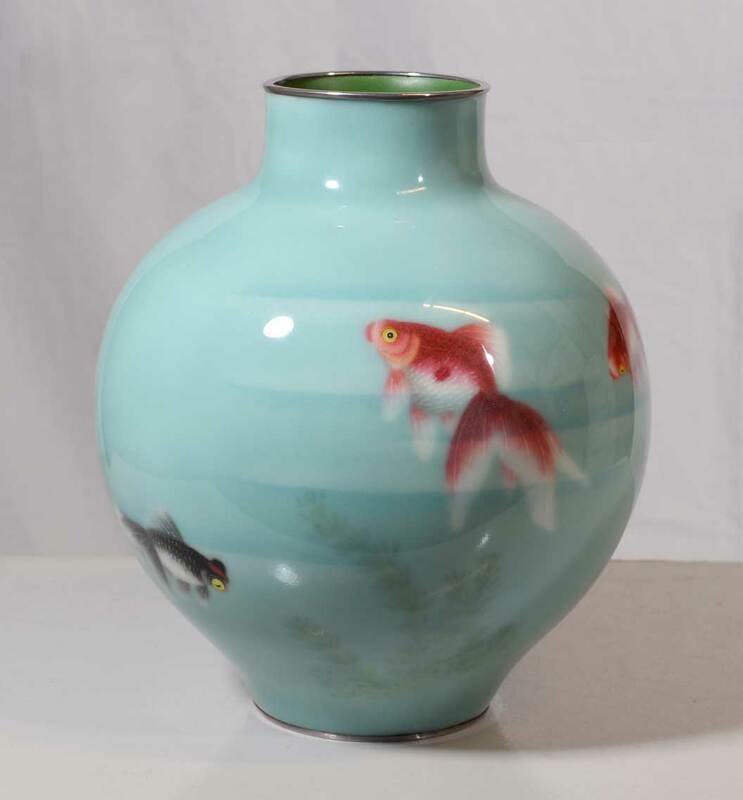 As I alluded to earlier in this letter our final members area item of the year is a superb quality, immaculate condition Musen enamel Cloisonné vase, firmly attributed to Gonda Hirosuke and once again direct from our USA collection. I would like to thank those of you who have supported us throughout the year, whether at the shows in person or via our online gallery your support means so much to us, and is never taken for granted. 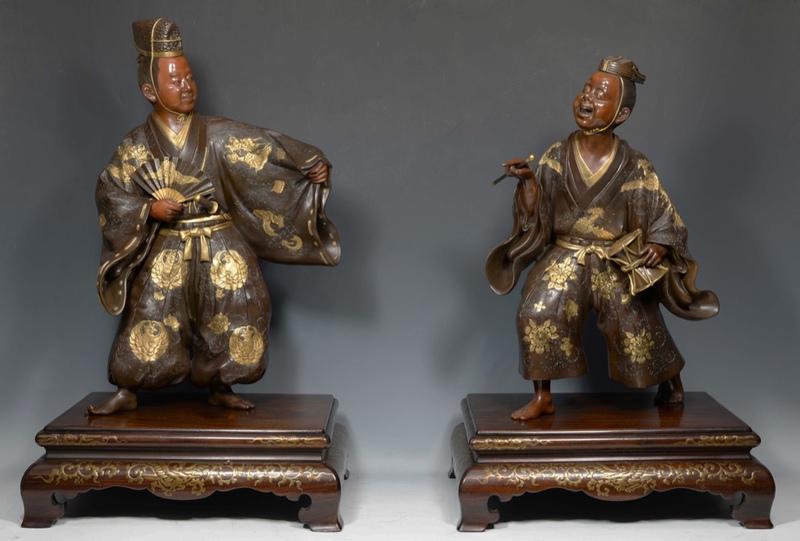 Without you we could not continue our passion to unearth the finest Japanese works of art from their various hiding places throughout the World, and in turn give them new homes with owners we believe will love and cherish them for the next generation. Copyright © 2018 Steve Sly Japanese Works of Art, All rights reserved.